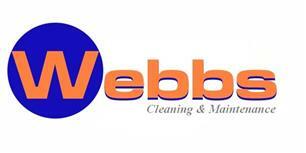 Webbs Cleaning Services - Cleaning Services based in Wokingham, Berkshire. Whether it is ladderless window cleaning up to 70ft or the traditional way, Pressure cleaning, Gutter clearing – ladder less up to 50ft or the traditional way, Solar panel cleaning, Litter picking or even if communal cleaning is part of your contract, we understand individual needs and can accommodate either on a daily, weekly, monthly or quarterly basis. Whatever your requirement you can be reassured that we strive to give the highest of Quality Workmanship and insured up to £5 million for your peace of mind. We are a Berkshire-based Company that works on a large area, so if you would like a quote, please feel free to contact us.